Amidst political slugfest over Rafale fighter jet deal with France, deputy chief of Indian Air Force came out in defence of fighter jet by saying that Rafale once inducted into the Indian Air Force would “revolutionise airpower in our sub-continent” but is discussed for the wrong reasons. 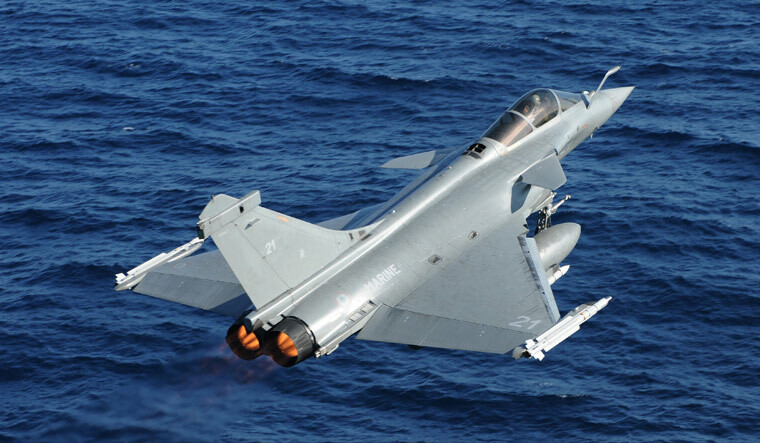 Deputy Chief of IAF R. Nambiar, who is involved in the negotiations of 36 Rafale jets, highlighted the depleting squadron strength of the IAF which is down to just 31 squadrons and said the “core procurement focus” now is for a multi-role combat fighter. Nambiar was addressing a seminar on aerospace industry organised by Centre for Air Power Studies and the Confederation of Indian Industry in national capital. Supporting Nambiar's argument, vice chief of IAF Air Marshal SB Deo says," All these discussions (Rafale allegations) are happening because people do not have information. People should first read Defence Procurement Procedures (DPP) and offsets. Rafale is a beautiful and capable aircraft and we are waiting to it fly it." India has contracted for 36 Rafale jets from France in an inter-governmental agreement at cost of €7.87bn (6,542 cr approx). Meanwhile, the Supreme Court on September 5, agreed to hear next week a PIL seeking stay on the Rafale fighter jet deal between India with France. While considering the plea filed by advocate ML Sharma, a bench comprising Chief Justice of India Dipak Misra and Justices A.M. Khanwilkar and D.Y. Chandrachud considered the submissions. Sharma was seeking his PIL to be listed for urgent hearing, which alleged discrepancies in the fighter jet deal with France and sought a stay on it. Petitioner is seeking an inquiry by a Supreme Court monitored Special Investigation Team.